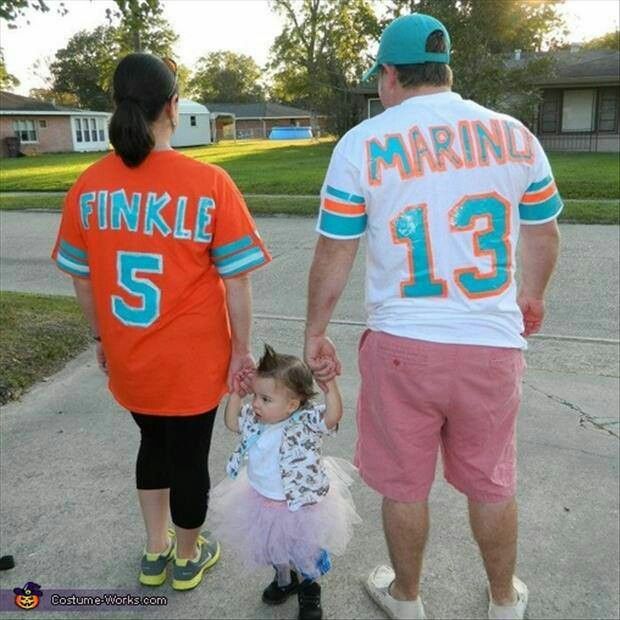 I'm such a cheese ball and a huge fan of family Halloween costumes. It's been a while since we all dressed up. I remember one year Alex and I were Johnny Cash and June Carter Cash (though admittedly we were more like the very Hispanic version of this couple) and it was so fun. For Liam's first Halloween I made a sushi costume for him, but Alex and I didn't dress up. 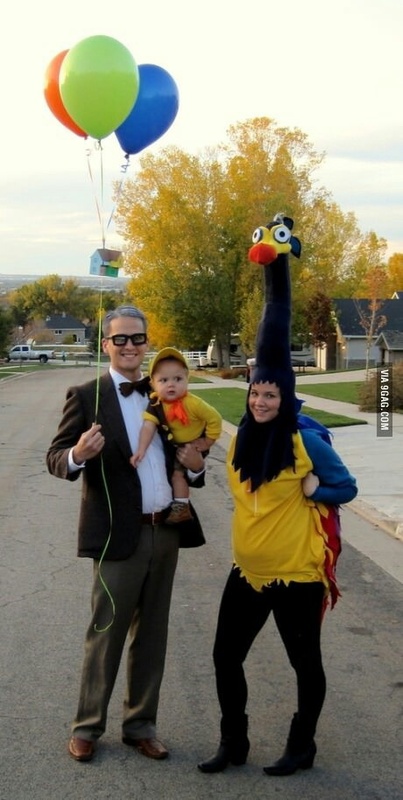 And last year we each had our own little costumes that didn't relate to each other. 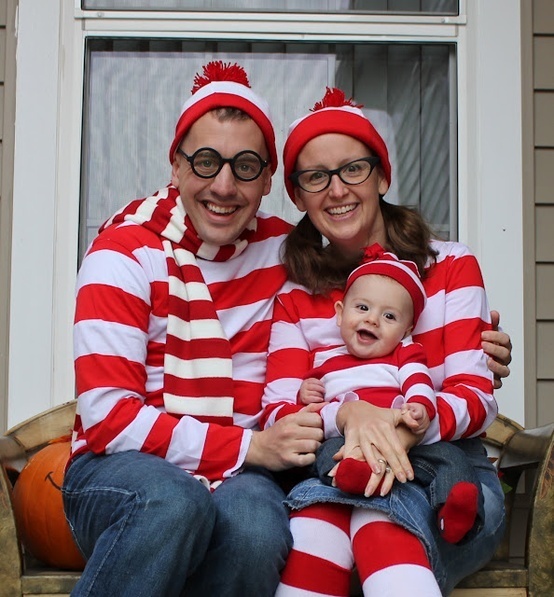 Anyway, I thought I'd post some of my favorite family costume Pinterest finds in case anyone out there needs inspiration...make it happen, people! Halloween is only a month away! 1. Wild Things...love this book and this costume! Maybe we will do this next year. 2. Lions, Tigers, and Bears...Oh my! What a clever idea. I'm hoping my friend, Tati, and her family do this because I think it would be perfect for them! 3. Where's Waldo? This is classic. 4. Up! 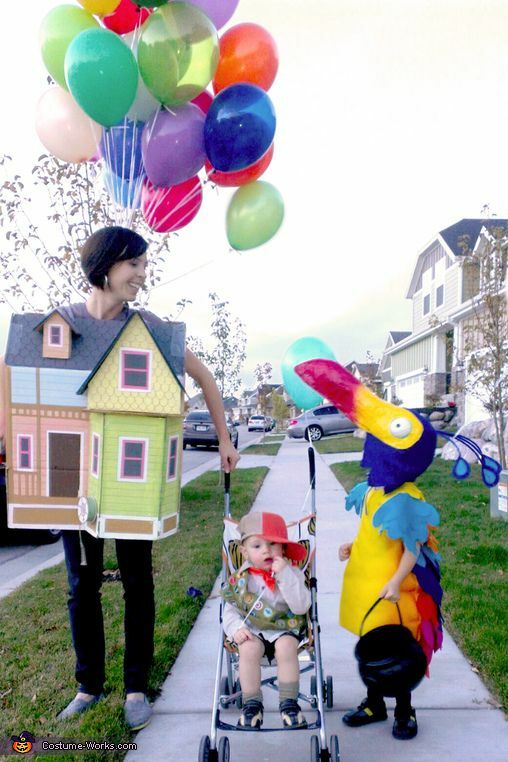 Here's a couple different Up-inspired costumes. Love it. 5. Ace Ventura! This is hilarious. 6. Angry Birds. This is really fun for a big family.